While regular haircuts are the popular solution to split ends, Nature has an organic alternative for this. 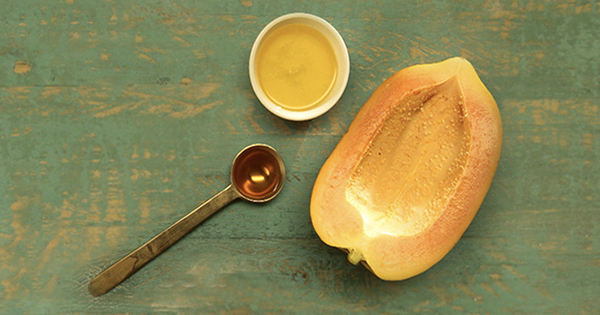 Papaya, rich in Vitamin A, promotes the production of sebum (a natural oil) - which keeps your hair conditioned. As old as time, honey is a natural humectant - which means it keeps your hair moisturized. It is a natural conditioner that restores the moisture in your hair and prevents split ends. Coconut oil, as we all know, is the ultimate hair nectar – repairing split ends and damage to hair by nourishing it from the inside. Mash 1/2 papaya. Mix 2 tbsp coconut oil and 1 tbsp honey. Apply and leave in for 30 minutes, then wash your hair as usual. If your hair is too damaged, you can leave it in for longer. You have to endure your commute. Your hair needn’t.